The $289.77 billion total comprises worldwide commercial revenues and government budgets compiled from original research and a wide variety of public and private sources and analyzed by Space Foundation researchers. 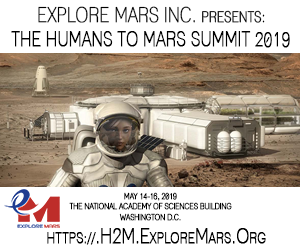 "The Space Foundation believes strongly that space is good business, with vast social and economic benefit," said Space Foundation Chief Executive Officer Elliot Pulham. "These data, demonstrating vigorous year-over-year growth in products, services and economic activity -- proves it." The primary growth engine was, once again, in the commercial segments of the global space economy. Space infrastructure and support industries increased nearly 22 percent and space products and services grew almost 9 percent. The biggest growth continued to be driven by global consumer demand for two space-derived products and services: GPS devices and chipsets and direct-to-home (DTH) television. Commercial space companies' stocks also out-performed the marketplace in 2011. As of December 2011, the Space Foundation Index, which is reported continuously on the Space Foundation website and analyzed in The Space Report, was 17.39 percent above its value at inception in June 2005. All three of the Space Foundation Indexes, which can be found at www.SpaceFoundation.org/spaceindex, outperformed the S&P 500 and the NASDAQ during 2011. According to The Space Report, overall governmental space spending grew by 6 percent globally, although changes varied significantly from country to country. India, Russia and Brazil each increased government space spending by more than 20 percent, while other nations, including the United States and Japan, saw very little change from previous years. "Sadly," said Pulham, "these data reflect a continuation of the trend that sees the U.S. losing ground compared to other spacefaring nations, including both established and emerging space powers." Published annually by the Space Foundation, The Space Report is the definitive body of information about the global space industry. It serves as a valuable resource for government and business leaders, educators, financial analysts, students and space-related businesses. For a limited time, it can be purchased -- in print, on CD-ROM or as a downloadable PDF - for $69.50, a 50 percent discount off the list price. Purchases can be made online at www.TheSpaceReport.org or onsite at 28th National Space Symposium. Multi-user licenses for schools and businesses, academic pricing and discounted previous editions of The Space Report are also available via online purchase. The Space Foundation will hold a media briefing on The Space Report 2012 at the 28th National Space Symposium on Wednesday, April 18, from 10:15-11:00 a.m. in the Space Foundation Media Center on the second floor of Broadmoor Hall at The Broadmoor Hotel in Colorado Springs, Colo. Reporters may also call in to 866-330-1200 and use passcode 5768000#. 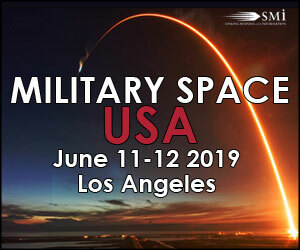 The briefing will feature Space Foundation Director - Research and Analysis and The Space Report Program Manager Micah Walter-Range, Futron Corporation Senior Analyst Dustin Kaiser and ISDR Consulting, LLC, Managing Director Kevin Leclaire. For more details, contact media@spacefoundation.org or inquire onsite at the Media Center. To register to cover the Symposium, go to www.NationalSpaceSymposium.org/media/online-registration-for-media. To see a list of all scheduled briefings (subject to change) go to www.NationalSpaceSymposium.org/media/media-center. The 164-pageThe Space Report contains worldwide space facts and figures and is illustrated with photographs, charts and graphs. Both the PDF and CD-ROM include hyperlinks to the companies, organizations, reports and references mentioned in the text. The book is divided into five sections: Space Products and Services, the Space Economy, Space Infrastructure, Workforce and Education and an Outlook for the future. Within those chapters are myriad examples of the benefits of space exploration and utilization, the challenges facing the space sector, the opportunities for future growth and the major factors that shape the industry. In addition, The Space Report includes an overview of each sector, easy-to-understand definitions and up-to-date information on space infrastructure, facilities, launches and programs. - Among the top 25 fixed satellite services operators by revenue, only one is based in the U.S. The Space Report 2012 includes coverage of emerging technologies, such as the development of small, inexpensive satellites that could be used for specific missions, and of how a space spinoff gets created, such as how a water purification system originally developed for use on the Space Shuttle has been adapted to provide clean drinking water for hundreds of villages in under-developed parts of the world. In addition, the book examines products and services that connect people with space, such as NASA's Eyes on the Solar System tool, which allows people to explore the universe from their home computers -- accessing data collected by NASA spacecraft. According to The Space Report, the global outlook for the future is largely positive. As governments around the world evaluate budgets devoted to space programs and make difficult investment decisions, a host of public-private, private-private and international partnerships are emerging among spacefaring nations large and small. "Partnerships are reducing costs, stimulating innovation and redistributing resources," said Pulham. "In many respects, the promise of space exploration has never been greater in the history of humanity." The Space Report notes space assets are being used to monitor the Earth's health at a critical time of climatic changes, to make key advancements in human health, communication and living standards and to answer fundamental questions about how the Universe began and whether there is life elsewhere. "In the first 50 years of spaceflight, we developed foundational capabilities that support and enable societal and economic good," said Pulham. "In the next 50 years, space activities will continue to support humanity's progress and perhaps enable its greatest discoveries." The Space Report is published by the Space Foundation, which works with a leading aerospace consulting firm, Futron Corporation, to research and analyze government and industry trends in space activity. The stock market analysis is provided by ISDR Consulting, LLC, a management consulting firm specializing in the space, satellite and technology sectors. The book is a "green" publication; the materials used in the processes for printing The Space Report 2012 have been certified as meeting the standards and requirements of the Forest Stewardship Council (FSC). The Space Foundation's National Space Symposium is the premier gathering of the global space community. Register at www.NationalSpaceSymposium.org/register, which includes a live chat tab for customer service questions. * Note: The 12.2 percent increase is calculated on a 2010 total of $258.21 billion, which has been adjusted from The Space Report 2011. 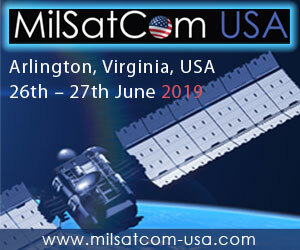 Updates and methodology changes include addition of EUMETSAT, Kazakhstan and Ukraine budget data; and inclusion of NRO and NGA budgets in the DOD budget estimate. The Space foundation today announced the availability of the 2012 edition of the Space Report to media today and to the public next week. According to the report the global space economy grew to \$289.77 billion in 2011, reflecting a surprisingly robust single-year expansion of 12.2 percent and five-year growth of 41 percent* in a global economy that has been suppressed in many other sectors.